And the QuarterLifeCrisis middle of winter photo fiesta continues on. This time with added Martini! 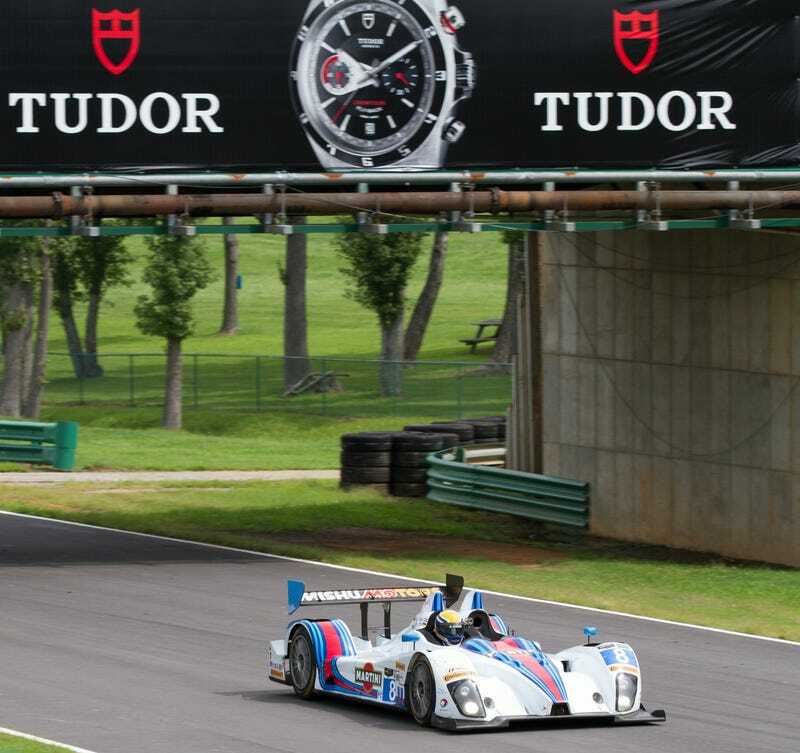 The Oak Tree Grand Prix back in August was a little different from most other TUSC races, in that the Prototype Challenge cars shared the track with their little brothers in Prototype Lites. The PC Challenge cars are all spec ORECA FLM-09s, powered by LS3s modified by Katech. And some of them, ok, one solitary Starworks car, has Martini & Rossi sponsorship/livery. Flickr Slideshow is below. Enjoy!